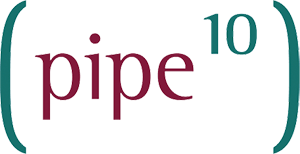 Pipe Ten operates its own services from DC0 Manchester, with customers services predominantly being deployed between DC1 Sheffield and DC2 Derby UK. Backup services are generally provided from the opposite data centre to which any customers active solution is deployed (DC1<>DC2) or from shared backup services via DC0. Our primary backup software and partner of choice is R1Soft. In simple terms R1Soft is a software agent installed to a servers operating system which creates frequent small backups of the servers state, drives and files and databases, then securely transfers them to the R1Soft backup software server where they reside encrypted until needed. When restoring backups we then have option surrounding restoration of the whole server, specific drives, files and even databases on a granular level for both type and date.